Italy has been ordered by the European Court of Human Rights to provide medical care to the 47 migrants marooned on board a rescue vessel off the Siclian coast. 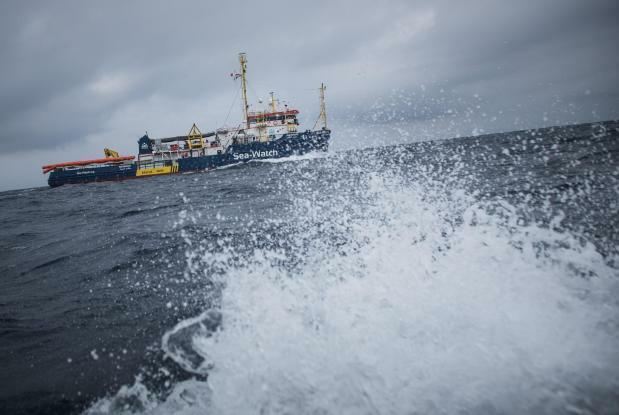 A chamber of the ECHR on Tuesday decided, by a majority, to grant an interim measure concerning the vessel SeaWatch 3, which has the migrants on board and is currently anchored outside of Syracuse, Sicily. The ship has not been allowed to enter a Sicilian harbour and the applicants complain that they are detained on board without legal basis, suffering inhuman and degrading treatment, with the risk of being returned to Libya. Sea-Watch 3 had sought permission to head towards Malta for shelter, but eventually decided to turn to Sicily. In its decision, the Court did not grant the applicants’ requests to be disembarked. However, it requested the Italian government take all necessary measures, as soon as possible, to provide the migrants with adequate medical care, food, water and basic supplies. As far as the 15 unaccompanied minors are concerned, the government was requested to provide adequate legal assistance, which could include legal guardianship. Italy was also requested to keep the Court regularly informed of the developments of the applicants’ situation. This interim measure is in force until further notice, and the ECHR said it had first received a request for an urgent ruling on January 25 from the captain of the SeaWatch 3. A subsequent further request was then lodged on January 28 by the 15 unaccompanied minors on board the vessel. The captain had requested that all the 47 migrants on board, rescued in the Mediterranean, be allowed to go ashore since the situation on board the vessel was precarious and the migrants in poor health.